Use The Finest Preposition Checker! The shoe is under the bed. Work starts at eight o’clock. Prepositions can do other things besides locate in space or time but nearly all of them modify in one way or another. Most of the time prepositions are combined with other words to form prepositional phrases. A prepositional phrase always begin with a preposition and ends with a noun or pronoun which is the preposition’s object. The object is the word that the preposition is in relation to. The prepositional phrase also contains the words that modify the preposition’s object. Some words can be used as prepositions or as adverbs. To tell if a word is an adverb or a preposition check if there is a noun following the word. If there is then it is a preposition. Having good grammar skills may not always produce results that you notice but it never hurts, and in most cases will weigh in your favor. Our free online preposition checker is an excellent tool that you can use to begin working on your grammar skills. Locating and correcting spelling mistakes as well as words that are used in the wrong context. 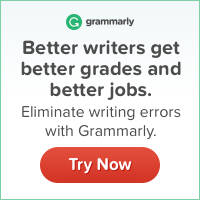 Our grammar and punctuation checker is fast and efficient and could end up saving you hours of proofreading time, while helping to eliminate errors and improve your writing skills. Our online checker is free for any person to use with no obligation. Take advantage of our free online preposition checker and see the improvement in your text documents!